Oxfordshire, U.K. (9th July 2018) – Manything Pro, the British video monitoring software company with more than 850,000 registered global users, has received a glowing review from one of its UK partners, Care Protect. The Manything Pro software allows security professionals to offer offsite cloud recording and remote viewing to their customers, and in turn creates a new source of recurring revenue. At IFSEC International in June, Manything Pro launched a white label version of its software called CCTV Connect, enabling partners to have their own branded version of the app. 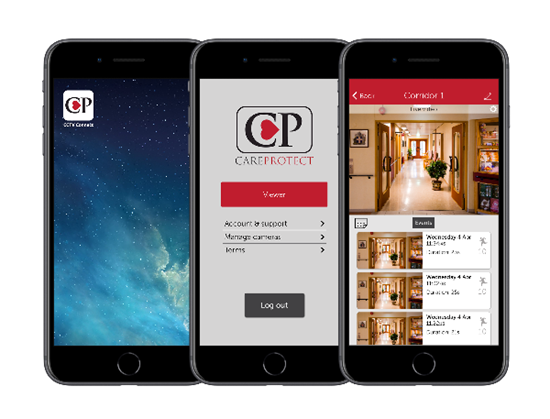 Care Protect partnered with Manything Pro for its offsite cloud storage earlier this year. Andy Johnson, IT and systems director, said “We’ve moved 400 cameras from our previous cloud provider and are very happy we did. Manything Pro is more cost effective and more reliable. Plus, we’ve now got our very own branded version using their CCTV Connect app”. Manything, founded in 2012, stands for ‘monitor anything’ – the original Manything app was developed to turn old smartphones and tablets into sophisticated video monitoring cameras. In 2016 Manything turned its attention to the professional security industry and integrated their software with a range of Hikvision cameras. Based in Oxfordshire in the UK, Manything has experts in cloud architecture, security and app programming –the platform monitors 25 years of video every single day for over 850,000 registered users.